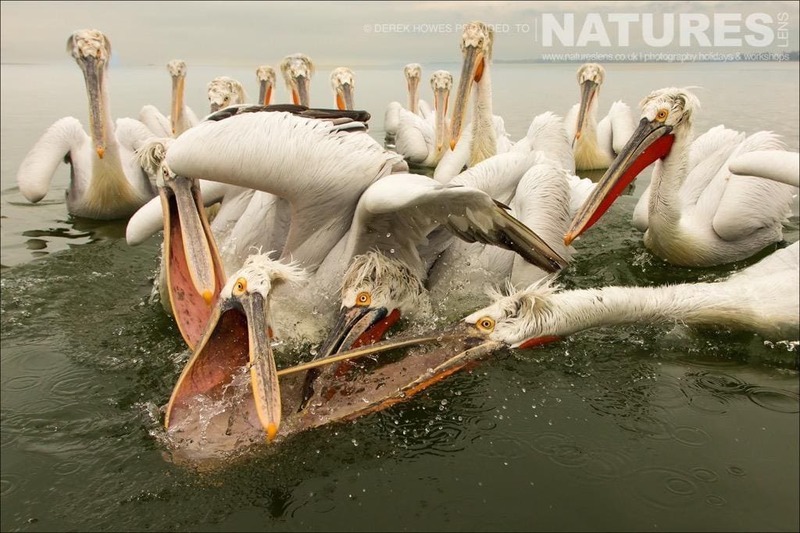 Derek has been on several photography tours & trips now with NaturesLens – you can see his images of Florida’s Blue Cypress Lake Ospreys elsewhere on our blog – & right now, he is in Calera, photographing some of the best birds that the Spanish Plains have to offer; however, in January, he joined Dan’s group & flew out to Thessaloniki, the intent of the trip, to capture some images to add to his portfolio of Kerkini’s Dalmatian Pelicans. 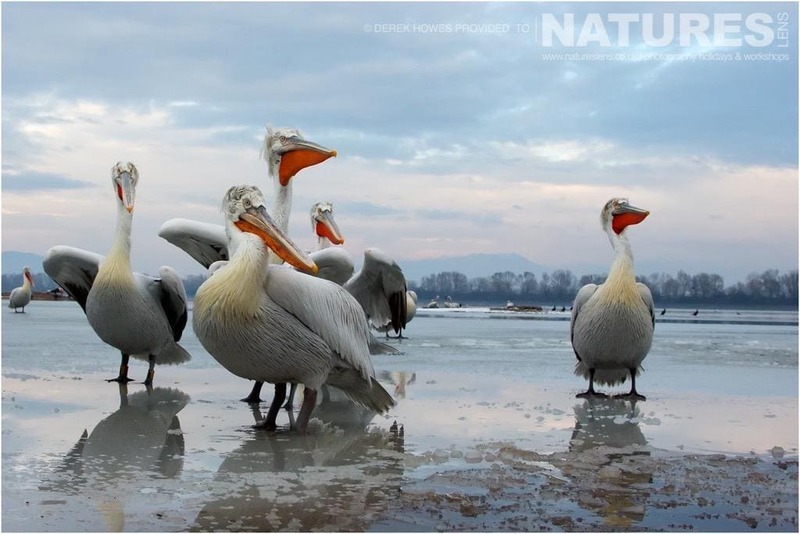 Like the first group, the second group found Kerkini wrapped in the cold embrace of winter conditions that had not been experienced for years; parts of the lake remained frozen whilst they were there, gradually thawing towards the end of their trip, although the normal boat trip could not head out onto the lake, our local guides took the various group members out on small fishermen’s boats instead. 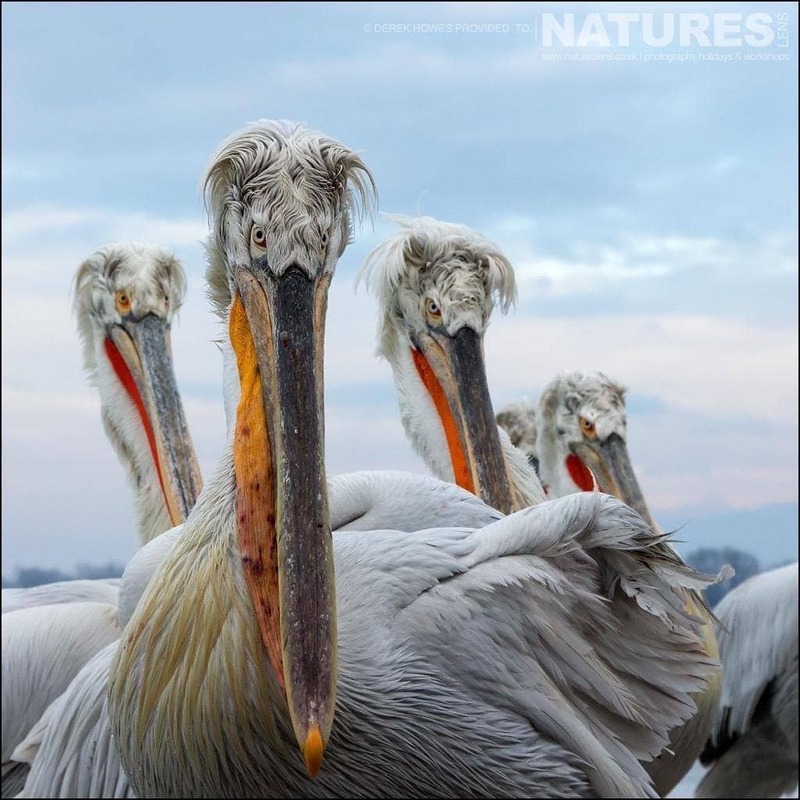 I particularly like the close-up images of the Dalmatian Pelicans that Derek captured, as he noted, the birds each have their own personality, capable of looking stern, amusing or quizzical, the one guarantee is that an eye contact image with the pelican filling the frame from Kerkini is compelling. 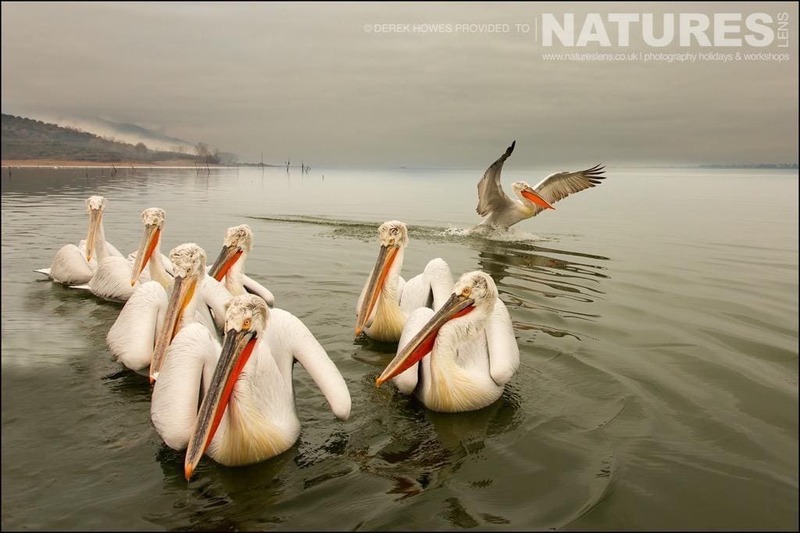 During one morning, the group experienced the most wonderful conditions, with a delicate mist rising off the lake, & the pelicans, you can see that image at the head of this blog posting; on another with the ice still close to the shoreline, the pelicans stood expectantly waiting for fish from the fishermen of the area, with whom they have formed a relationship going back over many years. 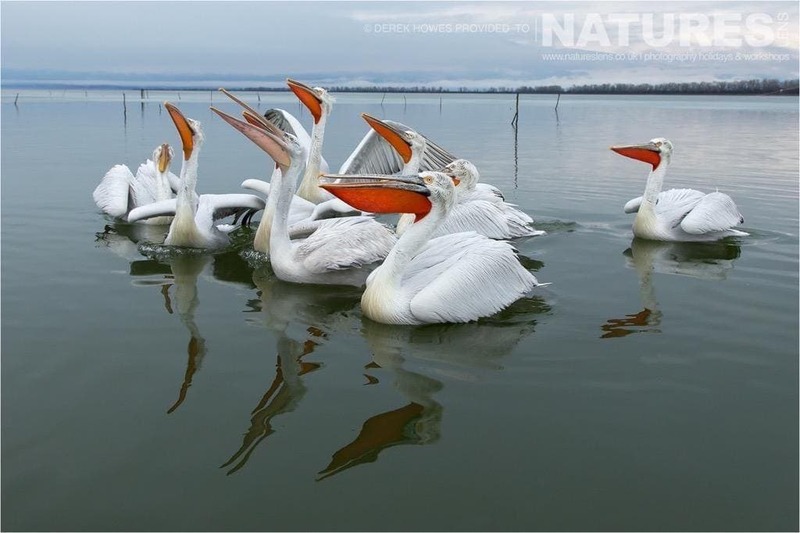 The fishermen feeding the pelicans during wintertime has led to a healthier ecosystem; the presence of the pelicans throughout the year, without them migrating, helps to keep the cormorant population at a reasonable level, which in turn balances and maintains the lake’s delicate ecosystem. 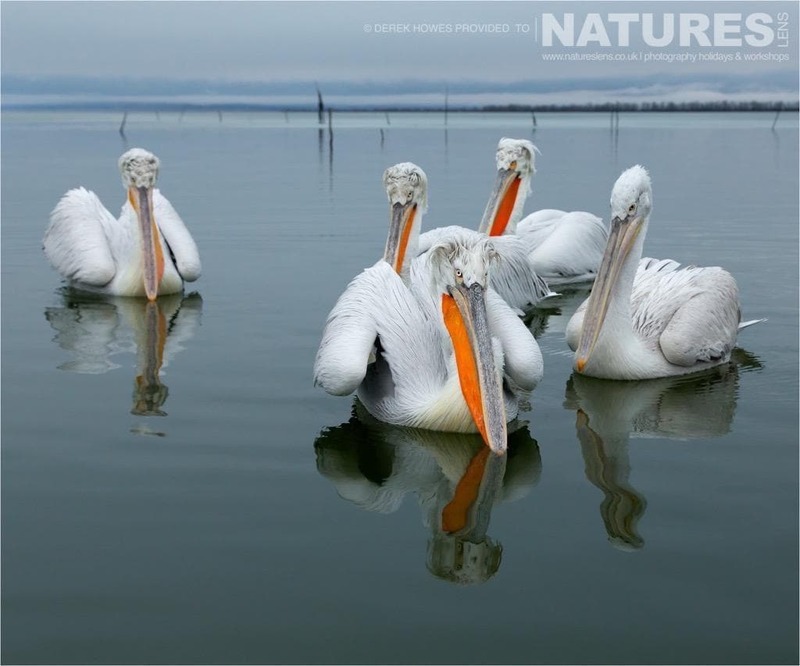 You can see a few more of Derek’s Kerkini Pelican images on his personal website. 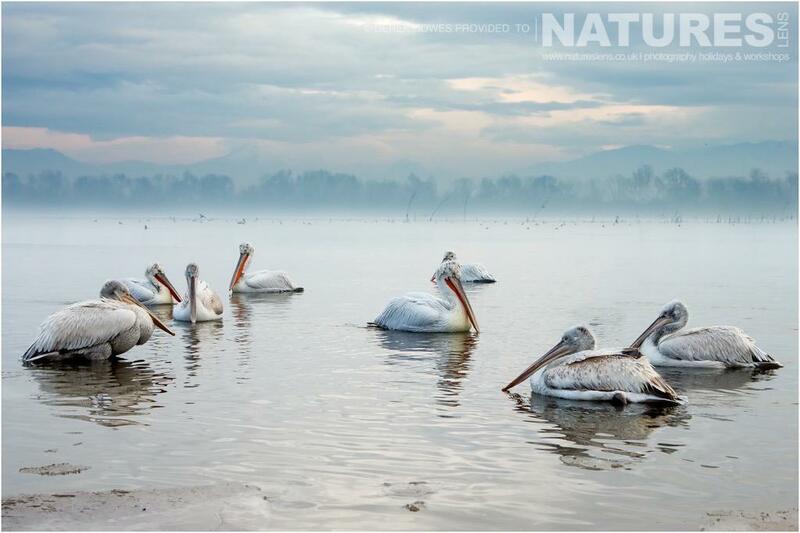 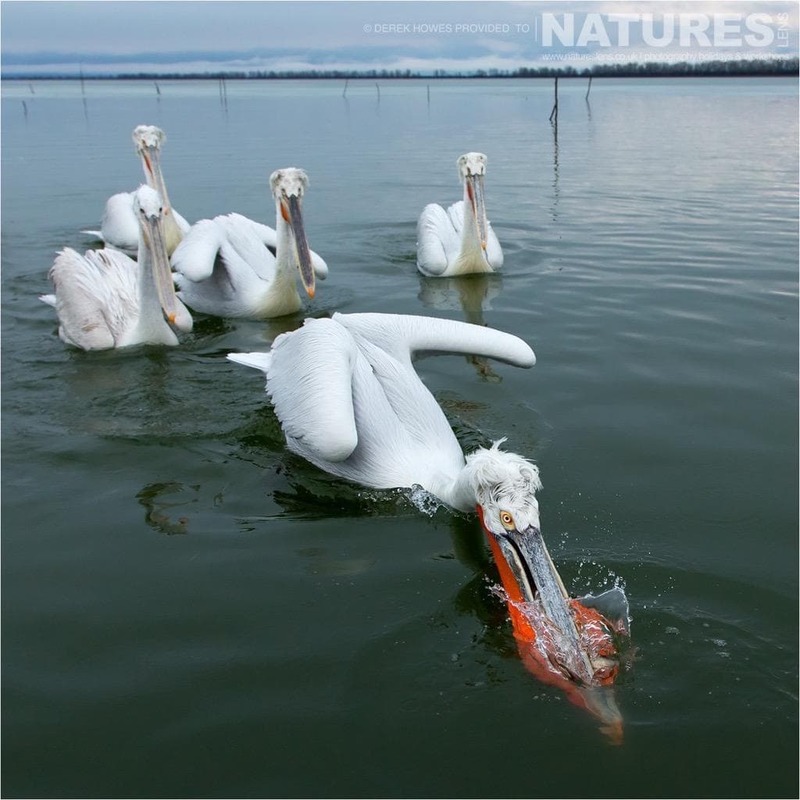 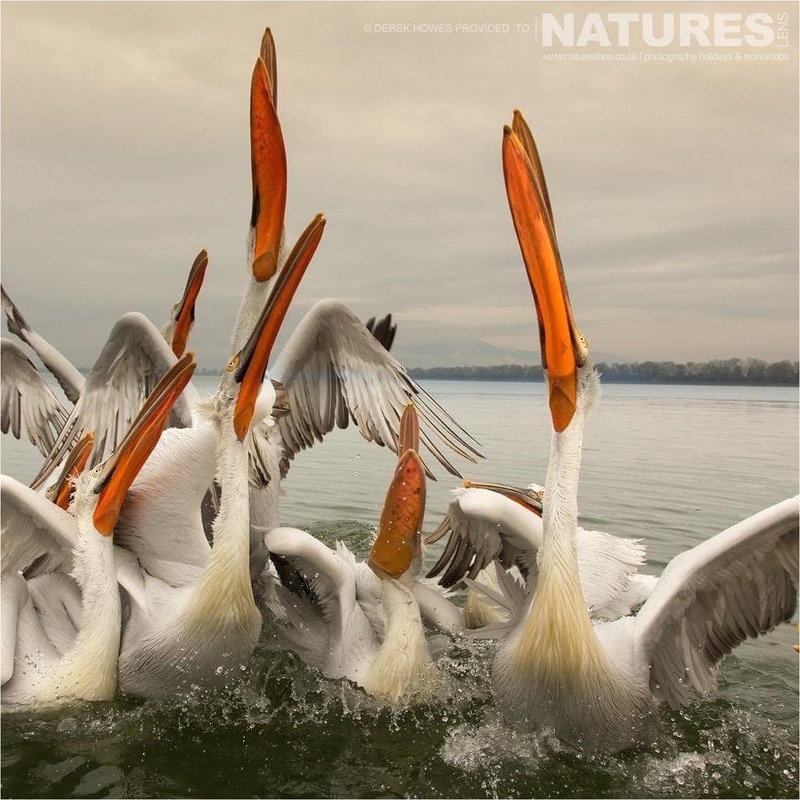 DO YOU WANT TO CAPTURE YOUR OWN IMAGES OF KERKINI’S DALMATIAN PELICANS? 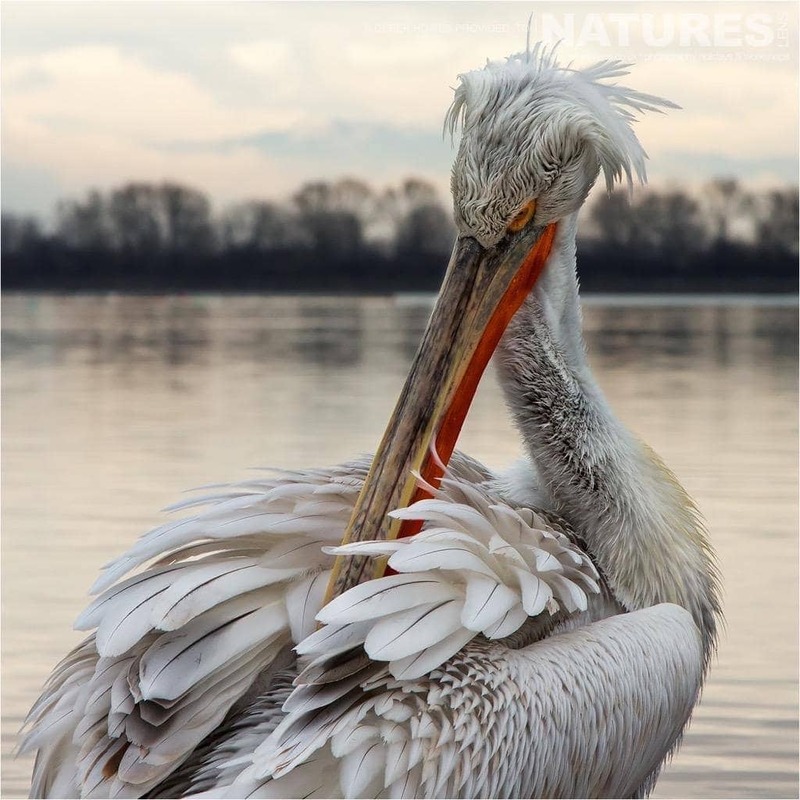 We have a single space remaining on the first trip of 2018, this is an opportunity for you to undertake photography of the Dalmatian Pelicans on Lake Kerkini for yourself; the photography holiday costs £1049, this price excludes air travel to Thessaloniki itself – all ground transportation from Thessaloniki & back, & to & from shoot locations, accommodation & guidance/tuition is included, the dates for the Dalmatian Pelicans of Lake Kerkini Photography Holiday are January 11 – 15, 2018. 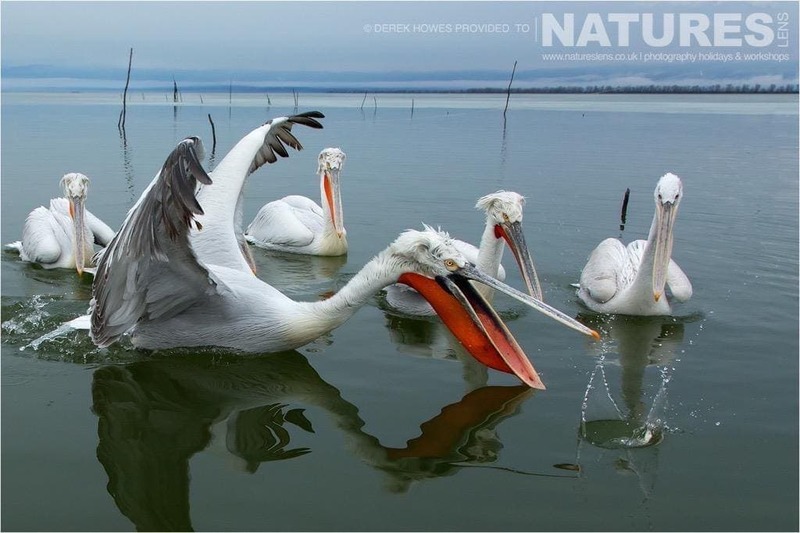 Whatever your query regarding our photography holiday, A different angle on Kerkini’s Dalmatian Pelicans, please fill out your details below & we will get back to you.